"Wonderful bridal gallery I received! So excited about my upcoming wedding! Loved every picture." - Harlee B. “Anna FAR exceeded my expectations of our engagement session and I cannot thank her enough. These are memories we will cherish for a lifetime. Next up, our wedding day!” - Tobie W.
“Smith Family Photography is great to work with! Anna was patient with us and made the whole experience great. She was very friendly and the location was just what I had asked for. The pictures turned out wonderful and I can't wait to get my packages. Thank you Anna for a wonderful picture taking experience....would definitely recommend Smith Family Photography to anyone looking for a fantastic photographer. Thanks again Anna! !” - Wendy M.
“Anna is so great! She’s patient and listens to our ideas. We will use her for all our pictures forever!” - Chaney L.
“We had the beat session!! Anna is amazing! She is so patient with us and our fur baby!! We got some great great pictures! We loved every single picture!! Brazos Park East was perfect location at sunset!! Thank you so much Anna! !” - Beverly P.
"We love all the pictures you took. Photography Smith Family is awesome!" - Tina D.
“This was our first family photography session and Anna made it so easy and fun! Even though the wind was horrendous that day, she got some really great shoots. Also, she is very good with staying in touch and responding! Definitely recommend and we will be returning customers! !” - Ashton N.
“I am so grateful to have had Anna there on our big day! Her pictures are amazing and she is awesome to work with. I Would not hesitate to recommend her!” - Jana W.
"Everything was so easy to do online from booking to editing to ordering. It made it easier and more convenient for each family to view the photos and order what they wanted to order. The pictures were perfectly clear and focused and that is so important for large groups." - Sherri L.
"Very family oriented. Creative with getting the little ones to do what she wants without them even realizing it. Very patient with the young ones. Her vision, creativity, and imagination is amazing." - Charlotte J. “Highly recommend!! Anna was very good at communicating with with me and helping me decide on a beautiful location. My daughters picture came out prefect and beautiful.” - Ilse B. “Anna Johnson Smith is a great photographer. Very friendly and affordable prices. My kids really enjoyed their photo session with her and thankful that she drove to Waco for the session!! The photos are BEAUTIFUL!” - Samantha S.
"We have used Anna exclusively for family photos for several years now. She always does great work. My only complaint is how tough it is to decide which pictures to buy! Anna does a great job listening to her clients to deliver exactly what they want. You won't be disappointed!" - Michelle D.
“I have been going to Anna now for nearly 4 years I have referred multiple friends to her and will continue to do so she is amazing! !” - Amy W.
"There was not a rush when working with Anna and she let Adria do whatever she wanted to do. The payment plan also made it much easier." - Michaela G.
"My biggest concern has always been price. When you are on a very small budget like I have, it has been hard to find someone who is willing to work with that budget and give you quality products and doesn't look down on you because of that budget. You work with what I had and gave us quality photos and did not treat us any different due to our low budget. Our session with you was awesome. You came up with great ideas when we had not a clue. And you listened to what we wanted and made it even better. You made my daughter feel beautiful and special and that means a lot to me. Thank You. It was a pleasure to work with you. You are very friendly and professional. You are willing to work with a family who had a tiny budget and make us feel that we was just as good as anyone else with a huge one. To feel value like that can not be measured in a price. You love what you do and it shows in the photos you take. You seem to know how to capture that special moment. Thank you so much for working with us we had an awesome time with you and hope to have more pictures done by you in the future." - Cherie K.
"My kids get agitated easily during photo sessions and often times the sessions get cut short. This did not happen with Anna. I love the creativity and willingness to let the kids be creative too!" - Meagan N.
"Absolutely love having Smith Family Photography do my family photos! Great with kids and very patient makes you feel comfortable. This is my second year using them and plan to continue to use them. Pictures captured are high quality. Every image capture is mind blowing to me just the perfect snap!" - Cristy L.
"Absolutely AMAZING! We had so much fun during the session and she was so patient with us when we got distracted or silly. I had no idea what I wanted to do and she suggested so many ideas that came out beautifully." - Kelsey M.
"Anna was AMAZING! She's so sweet and the pictures are awesome!!!" - Mary L.
"Smith Family Photography is absolutely amazing! All of our photos turned out great and the locations were stunning!" - Ceanne S.
"I absolutely love having Anna take pictures of my family! She is super patient with the little ones and the outcome is 100% worth it!" - Jnette E.
"Anna was excellent with my rowdy 20 month old! He Would run and climb and she would patiently wait for a shot. When it came time for mine and daddy's pictures, her husband walked around with my son until we were done." - Katie M.
"We highly recommend Smith Family Photography. Anna is such a talented photographer who really cares about each of her clients and their needs. This was our first session. I expected it to be amazing and the results were beyond that. During the session, Anna really took the time to capture the bond that my boys share. I cannot say enough how pleased my husband and I are! Thank you, Smith Family Photography, for capturing such wonderful memories for our family to cherish for many years." - Jennifer W.
"Best Photographer EVER!!!!" - Brittany R.
"Very friendly people. Made us feel comfortable during our session. The pictures exceeded our expectations!" - Tiffani S.
"Smith Family Photography went above and beyond for our daughters imagination photo shoot and our family pictures. Anna is very patient and is really good with kids. She captured great moments and also will give you poses you specifically ask for. We had such a fun afternoon with her taking our pictures!" - Crystal L.
"Anna FAR exceeded my expectations of our engagement session and I cannot thank her enough. These are memories we will cherish for a lifetime. Next up, our wedding day!" - Tobie T.
"Anna is absolutely amazing! She has done family photos for us the past two years. She fit us in her schedule last minute this year and she is such a doll to work with!!! She gives great direction for photos and is great with kids and the animals. She is patient and does a great job!" - Bailey G.
"Loved our experience!! She was prepared, patient and we got our images quickly! Anna is so pleasant and I will definitely be using her again!" - RaDonna C.
"Loved this photo shoot with the Smith Family! You can tell they take pride in their photo’s and want the best photos for their customers." - Karen S.
"Our experience was absolutely great ! We will definitely be getting ALL of our pictures done by Smith Family Photography from now on. Plenty of laughs and fun during the session." - Adrionna P.
"Anna was wonderful, her lovely daughters helped keep my kids entertained and it was a smooth process! The pictures are fabulous!" - Cindy D.
"This photographer did an awesome job with my family photos. My son was extra hyper that day and she was very kind and patient with him. She kept in constant contact with me because it look like it might rain the day of our photo shoot. The location we used was beautiful setting." - Sherri T.
"Anna photographed both my children's weddings and did our family shoot. She's patient, incredibly creative, and prepared!" - Chelsea G.
"Always a fun session...she works well with children. Highly recommend!" - Barbra T.
"Love her. She’s the best!" - Pheobe R.
"GREAT photographer! Worked wonders with my oldest who is not a picture person AT ALL!!" - Kristin R.
"We loved working with Smith Photography!" - Kenda F.
"My family and I had an amazing session with Smith Family Photography. My 18 month old started off grumpy, but both Anna and her husband helped to brighten him up. We had such a wonderful time, that it did not even seem like a photo session, and the pictures turned out to be stunning! If you are looking to have any sort of photographs taken, please keep Smith Family Photography in mind!" - Andrea V.
"Anna was great! Super informative from before booking until ordering pictures. She is easy to get a hold of and offers so much help and advice, to make sure all needs are met. She was great with my kids. Very relaxed, patient, and easy going. I would recommend her and definitely will be using her as our photographer in the future." - Misty S.
"Smith Photography did newborn pictures for our daughter and just recently did a family session for my very large family. Anna is extremely easy to work with, responds quickly to questions and emails, works great with visions you may have, and is incredibly kind on top of it all. She also gives great deals for returning customers. Smith Photography is awesome!" - Marianne A. "Anna was wonderful! I was scared my kids would not listen and corporate but all in all they did. Everything was wonderful. Love all our pictures." - Amber M.
"Anna with Smith Family Photography is an amazing photographer. We always get terrific photos and have a great time taking the pictures. I would definitely recommend her to take your precious memories." - Brenda R.
"Anna made everything absolutely perfect!!!! She had a ton of ideas and was open to the few ideas/props we brought for the Senior Photo shoot. I am in love with every single shot taken. I highly recommend Anna and will be using her again in 4 more years for my youngest gradaduatuon pictures." - Laura H.
"Anna did a great job on our pictures. She always captures the true personality of my grandaughter." - Amanda C.
"Awesome all the way around! She and her assistant were wonderful at getting the perfect setting, time and shots my picky teen was looking for!" - Annette R.
"I was blessed to be gifted a session with Anna by a sweet friend. I opted to use the session for my granddaughter's Senior pictures and did I ever make the right decision!! Anna took us to her family land where there were beautiful trees, a tire swing, cactus, a covered bridge and a small cabin. The pictures that she captured with Kyleigh are AMAZING and IRREPLACEABLE!!! She was so sweet and personable and she made us all feel right at home. She was even ok wirh Kyleigh's request to shoot a few of Kyleigh and her boyfriend. I had never met Anna before the shoot but now I feel as if I've known her for a very long time. I had a terrible time with the technical aspect of everything and she was so sweet and accommodating to stay on the phone with me and walk me thru step by step, what I needed to do. 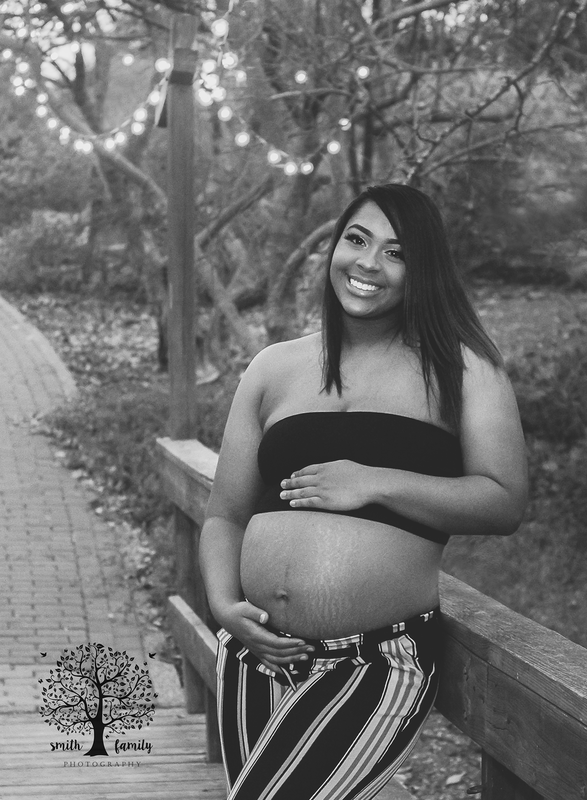 All in all this experience has been flawless and so much fun and I will certainly be using Smith Family Photography for all my photography needs in the future." - Susie A. "Wonderful experience with Smith Family Photography! Not only is Anna a talented photographer, she was so patient with my busy kids!" - Mindy M.
"Best Pictures Yet! Anna photographed our Wedding in May 2018, she is great at communicating and getting the photos back! Everyone loved the pictures and poses! Looking forward to using her for more pictures later on." - Brooke D.
"We had a awesome time getting our pictures taken. My kids were a bit grouchy and she was so patient with us getting them situated. Thank you and we will definitely book with y'all again. I highly recommend Smith Family Photography!!!!!!" - Meyshaun C.
"She was amazing! My son was too occupied with playing to pose for a picture with me and she worked her magic! The best photographer I’ve had the pleasure of working with so far!!" - Kristin S.
“Best experience I’ve ever had doing pictures! She was super nice and made me feel very comfortable during my pictures. She kept in touch and if I had any questions she was always available to answer them. I would totally recommend her to anyone looking for a photographer.” - Briana C.